The restored Northern Pacific Railway station, now the headquarters for Timberline Drilling. The building before the remodel. No light entered its windows, no life passed through its doors. And no sounds came from within its lingering walls and foundation. It seemed, in time, another historical building would be slated for destruction and erased from public memory. 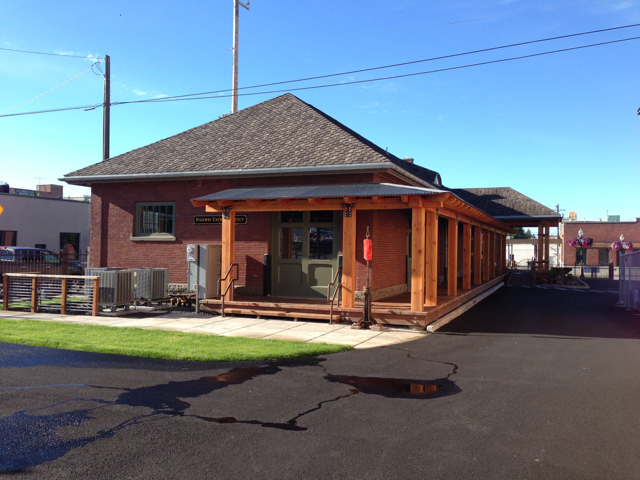 But John Swallow of Coeur d’Alene knew this building’s story as the former Northern Pacific Railway station. He knew Northern Pacific Railway was the first railroad to reach Coeur d’Alene in 1883 and that this station, in particular, was one of the region’s most influential transportation hubs, linking North Idaho to the rest of the world. The building was most recently known as Las Palmitas Mexican Restaurant but had remained vacant for almost two years. John and Erin Swallow purchased the former Northern Pacific Railway station building at 201 N. Third St. in Coeur d’Alene to also house their company, Timberline Drilling, which is owned by Martin Lanphere, Lew Walde, and John Swallow. The general managers are CJ Larson and John Dietel. The foundation and exterior walls — with a thickness of 13-inches — are original to a structure that was once teeming with the pursuits of man’s pleasure and livelihood. By the late 1890s Coeur d’Alene was undergoing a population boom fueled by the value of the Silver Valley’s seemingly inexhaustible timber and precious metal reserves. Lake Coeur d’Alene merged the two through steamboats brimming with passengers and raw materials from mines and forests. Those moments are captured in the building today. In the train station’s old waiting area, now lined with old-fashioned desks making for airy offices, there are manmade ruts in the floors marred with tread from shoes where people once stood to purchase train tickets almost a century ago. Beyond the ticket booth is an overhanging window where the telegraph operator would sit to look up and down the tracks for oncoming trains. 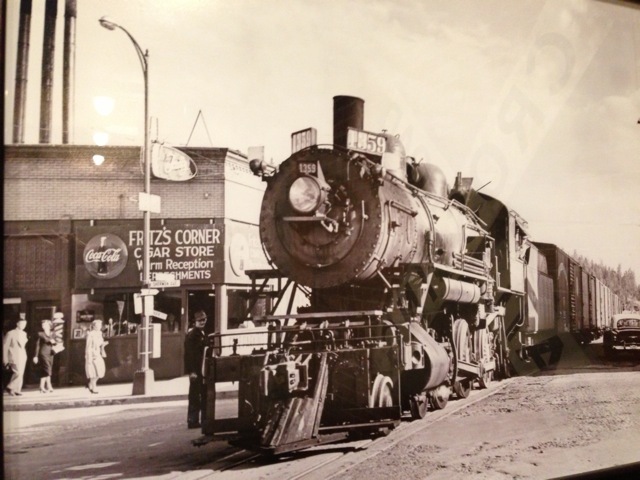 A Northern Pacific Railway locomotives goes down Third Street circa late 1950s. Most of the maple floors are original, too- some are even engraved with the signature of one the business giants of the time, J.D. Carroll. Bricks comprise the building’s walls, a precaution taken after the first depot, located near the Third St. docks, burned down from a runaway mill fire. The ceiling lights are era appropriate. An antique telephone hangs by the wall near the bathrooms. Their functional office refrigerator is from 1932, and an authentic “Railroad Crossing” sign from the Rathdrum Prairie hangs over the conference room, its reflectors made of marbles. Some relics were found stuffed into the nooks and crannies of the station- like a piece of coal Swallow found and returned to the building’s coal chute as well as horse and mule shoes. Others were found on antiquing trips Swallow made with his wife, Erin, and their sons: Travis, 14, and Ryan, 16. Ryan, 16, left, and his brother, Travis, 14, right, help their father and co-owner of Timberline Drilling, John Swallow, with landscaping the grounds of the new company headquarters and former Northern Pacific Railway station. Timberline Drilling, an underground and surface-drilling contractor based in the Northwest with headquarters in Coeur d’Alene and Elko, Nev., understands these lessons written on the floorboards of forgotten history. The company, in the words of Swallow, is “the eyes and ears of mining companies, helping our clients determine the worth of precious metals.” Today the company has around 170 employees in Idaho, Washington, Nevada, and Alaska. 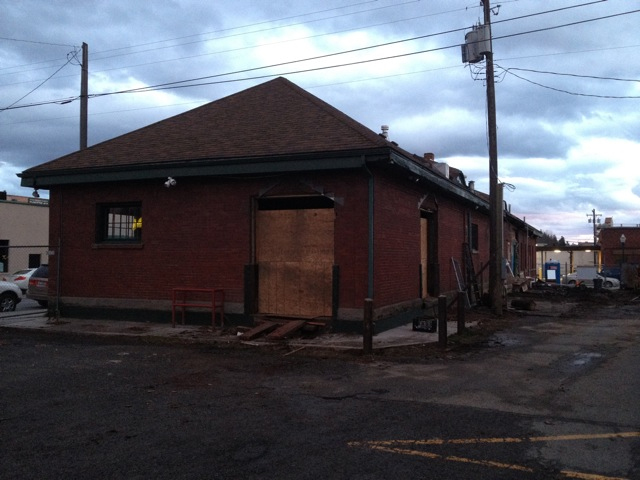 Rob Johnson of Johnson Construction was hired to collaterally restore the train station with Swallow and his team. Together they spent a year renovating and restoring the train station. But Swallow sees the restoration project, the company’s headquarters, as a tribute to the past as well as an asset to the community. “That’s why we did this,” said Swallow. 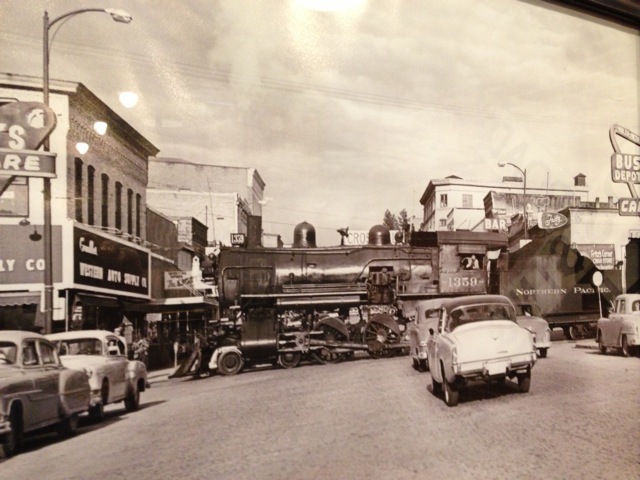 A Northern Pacific Railway train crosses Sherman Avenue circa late 1950s. 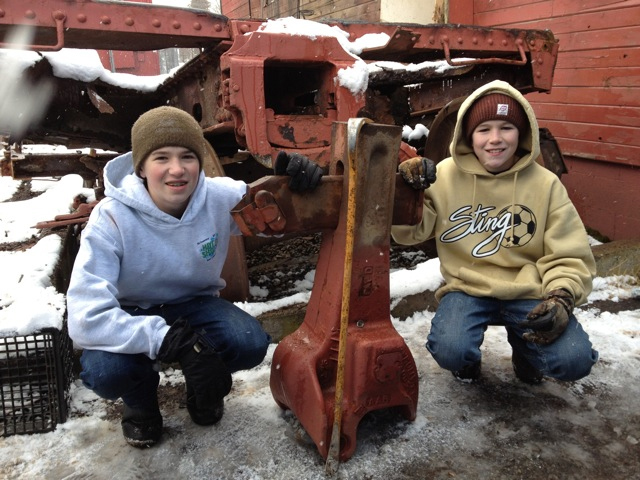 The restoration, in part, reflects Timberline’s successes as well. The value of precious metals has steadily risen since 2001, says Swallow, and with it the need for quality drilling. “When the recession hit, we kept a lot of guys busy,” said Swallow. To Swallow, history is worth its weight in gold.